Definition of anterolateral sulcus of the spinal cord. 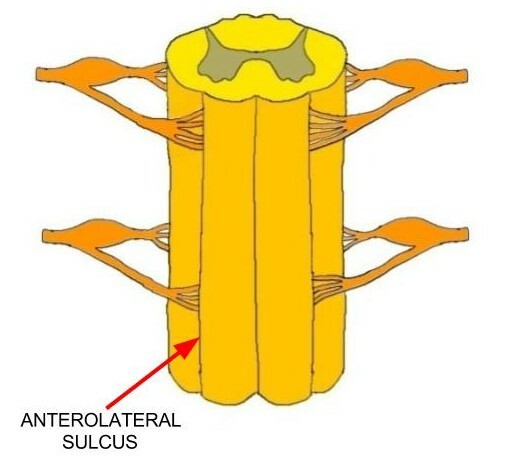 sulcus on the anterior side of the spinal cord where ventral roots leave the cord. Watch this 2-Minute Neuroscience video to learn more about the exterior landmarks of the spinal cord.